Aerospace sheet metal fabrication is a complex sector of the general sheet metal fabrication industry, but it’s also one of the fastest growing sectors. Demand for all kinds of new and emerging aircraft and spacecraft have made 2018 a big year for aerospace sheet metal fabrication, creating distinct and measurable aerospace sheet metal fabrication trends. If you want to keep your sheet metal fabrication services in demand along with the trends, you’ll need to understand what forces are shaping the global sheet metal fabrication market. With both aluminum and steel alloys staying steady at relatively low prices, aerospace sheet metal fabrication remains the most popular way to finish out all kinds of spacecraft and aircraft structures. However, the main threat to the popularity of sheet metal fabrication for body panels comes from reinforced composites and high-strength thermoplastics. Carbon fiber composites, flame and heat resistant polymers, and 3D printing processes are all starting to enter the aerospace body manufacturing market. These materials are easily molded, making them faster and sometimes less expensive to produce than similar body panels formed through aerospace sheet metal fabrication. These products are still limited in their availability and tend to cost more than aerospace sheet metal fabrication services, so for now there is only a minor effect on the demand for sheet metal products. Each step of the aerospace sheet metal fabrication process, from scanning large structures to shaping and forming each individual panel, is rapidly becoming automated. From automated welding rigs that can reduce aerospace sheet metal fabrication times by over 30 percent to one-piece manufacturing that is computer modeled and assisted, the opportunities for reducing errors and speeding calculations in sheet metal fabrication are steadily growing. Technologies first developed around 2013 to 2015 are finally seeing implementation into real world aerospace sheet metal fabrication workshops and factories. Robotic milling and drilling services continue to lead the cutting edge of sheet metal fabrication, both in the aerospace sector and other military and commercial manufacturing areas. For many years, the bulk of global aerospace sheet metal fabrication was carried out in Asia and Eastern Europe. Relatively low wages and access to large amount of raw aluminum and steel materials made it easy for aerospace sheet metal fabrication companies in these areas to thrive. However, 2018 has signaled a clear shift to reshoring many aspects of aerospace sheet metal fabrication. This means that many U.S. and Western European countries that have historically driven demand for aerospace manufacturing services are choosing to either move subcontracting agreements to local providers or develop their own in-house aerospace sheet metal fabrication facilities. Aerospace sheet metal fabrication companies and subcontractors located across Asia and all parts of Europe can still remain competitive among the reshoring movement, but they’ll need to offer greater price breaks or extra benefits to their customers to highlight themselves. 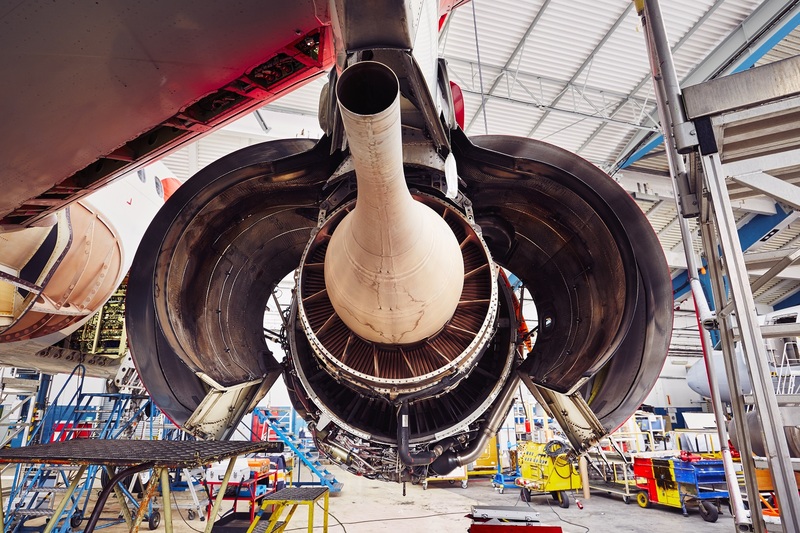 Many companies may reduce their focus on aerospace sheet metal fabrication services in these areas while more Western European and American companies expand into new aerospace services to meet growing demand. 2018 remains a year of steady growth projected for the entire aerospace sheet metal fabrication sector because there is still a backlog in commercial aircraft manufacturing orders. While the biggest global manufacturers like Embraer and AirBus are producing hundreds of commercial jets per year thanks to advanced aerospace sheet metal fabrication techniques, AirBus alone took in over 1,000 new orders in 2017 alone. There is still plenty of space for new entries into the aerospace sheet metal fabrication world, especially from subcontractors and other service providers with a strong background in similar welding and fabrication fields. Defense demand also continues to grow steadily from the U.S., U.K., and Germany. Between commercial and defense contractors, many aerospace sheet metal fabrication companies expect to stay busy for the next two to three years on backlog orders alone. Aerospace sheet metal fabrication remains a difficult industry to predict, but the trends of 2018 all point to a continued expansion and growth of demand within the sector. Listing your compnay as a sheet metal fabrication subcontractor on the European Subcontracting Network can help you tap into this growing market. Search for top European Aerospace Manufacturers HERE! Register your company for FREE as a Subcontractor/Supplier or General Buyer with European Subcontracting Network!